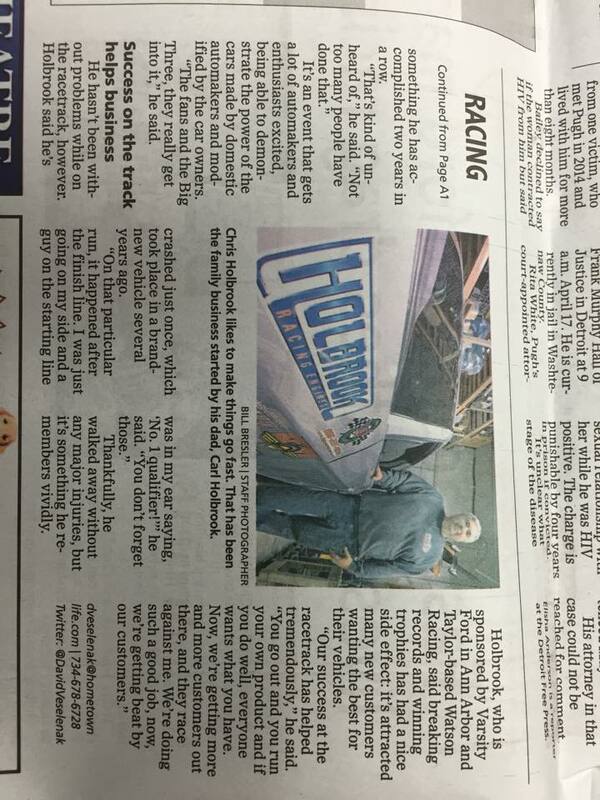 It’s a pastime that continues to run through the family: Holbrook children all have taken up racing. Two vehicles parked in the back room of his business are his children’s. Highland resident Jeremy Combs said he’s worked with Holbrook for about 10 years after business was slow at his other job. 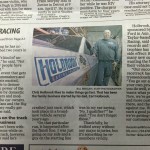 He was laid off and had a connection who knew Holbrook. He applied and began working with him on a daily basis. He’s gone a few times to the track, but prefers to be in the shop working on engines. 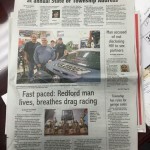 Among Holbrook’s accomplishments are record-setting times on the track, as well as wins at the U.S. Nationals of the Factory Stock Showdown, something he has accomplished two years in a row. 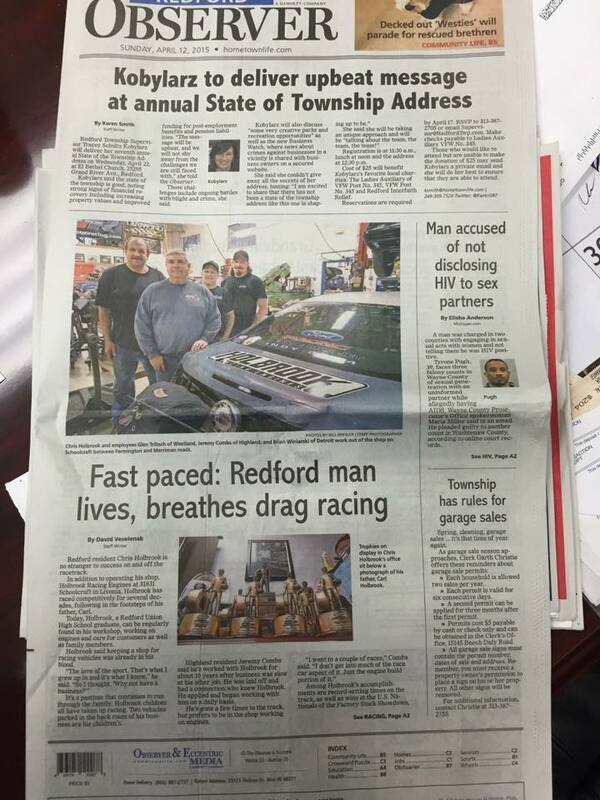 It’s an event that gets a lot of automakers and enthusiasts excited, being able to demonstrate the power of the cars made by domestic automakers and modified by the car owners. “The fans and the Big Three, they really get into it,” he said. He hasn’t been without problems while on the racetrack, however. Holbrook said he’s crashed just once, which took place in a brand-new vehicle several years ago. Thankfully, he walked away without any major injuries, but it’s something he remembers vividly. 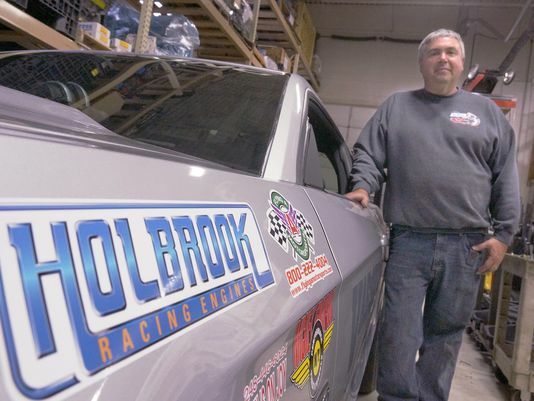 Holbrook, who is sponsored by Varsity Ford in Ann Arbor and Taylor-based Watson Racing, said breaking records and winning trophies has had a nice side effect: it’s attracted many new customers wanting the best for their vehicles.